Over 70 Chicago area students received scholarships from the Notre Dame Club in 2018. 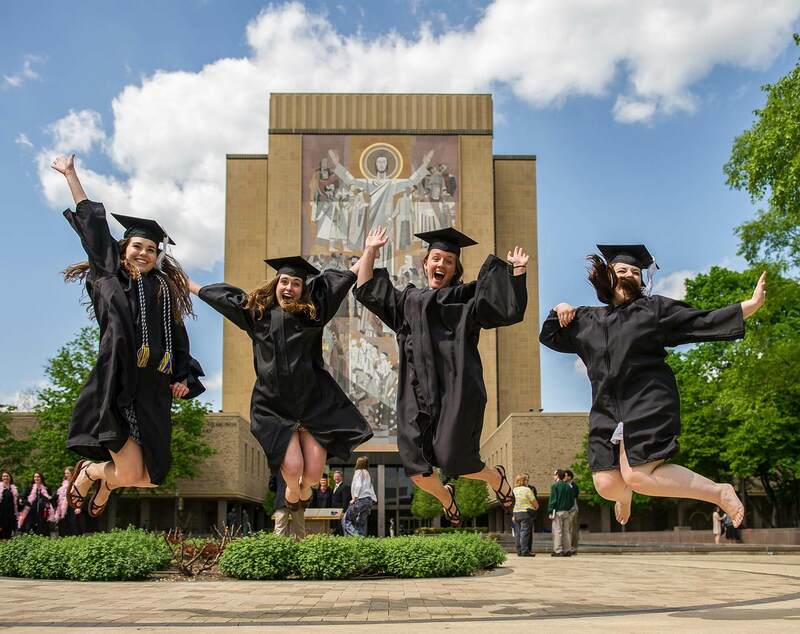 Let’s face it – Notre Dame’s tuition can be hard for students to afford. One of the missions of the Notre Dame Club of Chicago is to ensure that area admitted students receive financial help so they can attend Notre Dame. Last year over 70 students received scholarships from the club. The Notre Dame Club of Chicago has an affiliated Scholarship Foundation, and the mission of the Notre Dame Club of Chicago is to raise money for the Scholarship Foundation. Each spring, the Scholarship Foundation awards scholarships to high school seniors who have been accepted by the University of Notre Dame and have been determined by the University’s Office of Financial Aid to have financial “need” – to require additional financial assistance to enable the student and his/her family to afford the cost of a Notre Dame education. Only high school students whose primary residence is located within our Club’s boundaries, as determined by the Notre Dame Alumni Association (which is, essentially, Cook County), are eligible for the Notre Dame Club of Chicago Scholarship Foundation awards. Currently there are more than 70 students on campus who benefit from the Notre Dame Club of Chicago Scholarships. The Scholarships range in amount depending on available funds and the students’ need. The Scholarships are automatically renewable for the Scholar’s four undergraduate years at Notre Dame (or five years for Architecture and certain other five-year undergraduate majors), so long as the Scholar remains in good standing academically and so long as the University’s Office of Financial Aid determines for each academic year that the student has continuing financial need. Only incoming freshmen are eligible for our Scholarships. Similar to other University scholarships, the Notre Dame Club of Chicago Scholarships are awarded only to students with financial need. The Office of Financial Aid on campus determines each year if a student is eligible for our Scholarship. Once the Club receives from the University the list of qualified high school seniors (in late March/early April), we will send an application to those students who are eligible for our Scholarship. Our applications are sent to the student’s home address as indicated on the financial aid forms filed with the University. If you do not receive a Scholarship application from the Club by April 1st, you are welcome to contact the Office of Financial Aid to find out if you are eligible for our Scholarship. However, if you do not receive a letter it most likely means that the Office of Financial Aid has determined that you are not eligible for a Notre Dame Club of Chicago Scholarship Foundation award. “Your generosity has led to four years of memories, studies, challenges, and victories. I can’t thank you enough for the opportunity you gave me. Member dues not only fund the scholarship fund, but members are eligiable for extra ticket lotteries and club event discounts. Proceeds from events are used to fund the scholarship fund. Come connect with other alums while helping a great cause! Donations can be made directly to the scholarship fund and are often matched by employers.